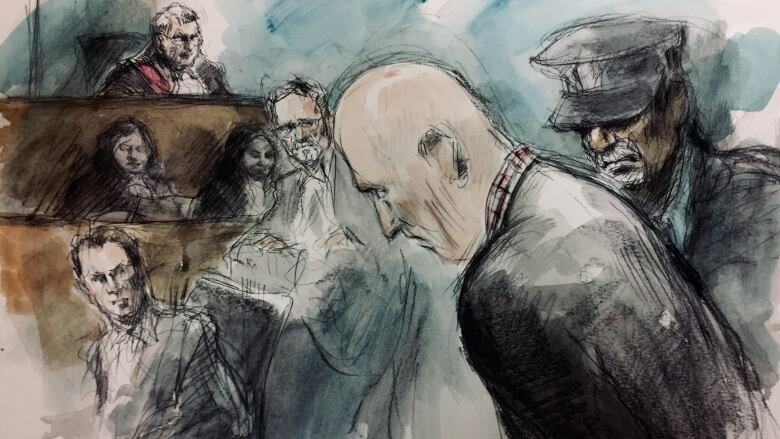 Why serial killer Bruce McArthur chose to plead guilty to eight charges of first-degree murder was not explained on Tuesday morning, although police hinted that answers still may come. 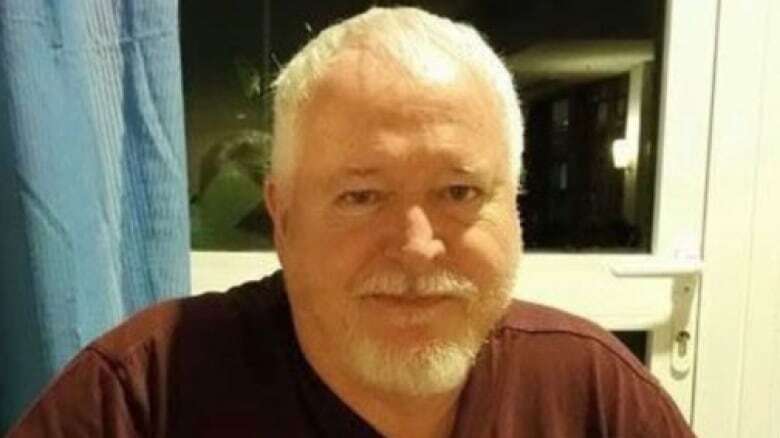 Why Bruce McArthur, 67, chose to plead guilty to eight charges of first-degree murder was not explained in court Tuesday morning, although police hinted that answers still may come. McArthur's admission in a Toronto courthouse that he killed eight men between 2010 and 2017 wasn't entirely surprising — police had said earlier a "significant development" was coming. 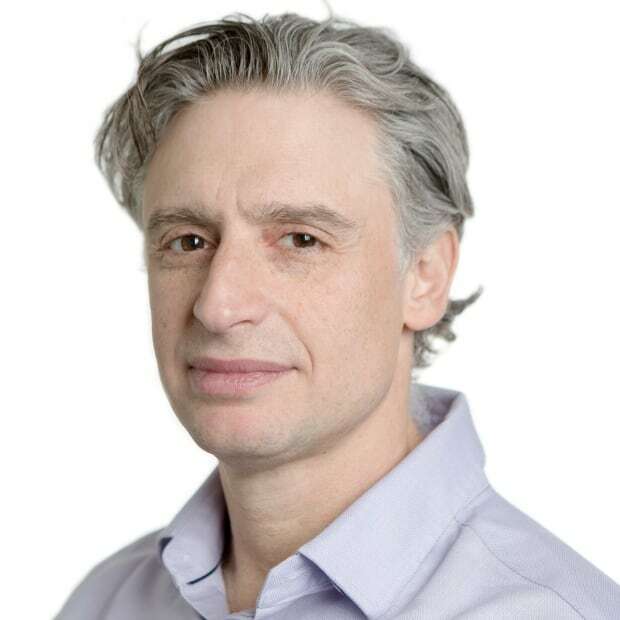 But guilty pleas can be rare in big trials because, during the lead-up, the defence can determine the strength of the Crown's case, according to B.C. criminal lawyer Marilyn Sandford. "The first question is always: Can they prove their case?" Sandford, who was part of the legal team that represented serial killer Robert Pickton, said in an interview with CBC News earlier this month. "You want to be able to give [your client] that opinion before you rush into negotiating a plea agreement because you need to be able to tell them the strengths and weaknesses of the case so that they can make an informed decision about what to do." McArthur's trial was expected to take three to four months, and the trial date had been set for Jan. 6, 2020, meaning his legal team had almost another year to search for weaknesses. Outside the courthouse, Toronto police Det. 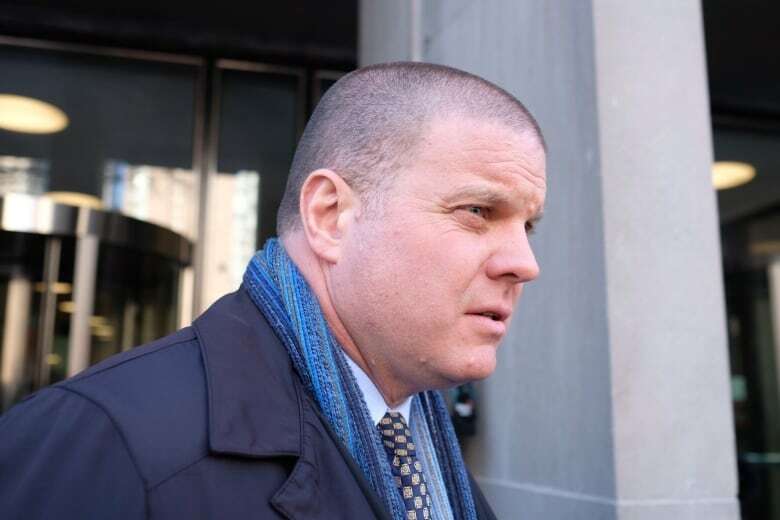 David Dickinson, one of the lead investigators in the case, indicated he would comment on McArthur's reasons for pleading guilty at a later time. Insp. Hank Idsinga, the head of the investigation, also suggested that more information about McArthur's motivation to plead guilty may be forthcoming. "We'll see what else comes out in court next week," he told CBC News. Ontario Superior Court Justice John McMahon opened proceedings Tuesday by asking McArthur if he understood exactly what it meant to plead guilty and warning him that he could not plead guilty to things he didn't do just to get the case over. McMahon said the guilty plea meant he had to sentence McArthur to life imprisonment. Whether he will serve his sentences concurrently or consecutively will be decided next week at a sentencing hearing that begins Monday. "So, you understand you'll have to serve at least until you're 91 before you could be eligible to apply for parole," McMahon said. "Do you understand that? Do you understand that, sir?" "Yes, your honour," McArthur said. McArthur made his plea 11 days after the one-year anniversary of his arrest, and a year to the day after police first used the label "serial killer" to describe the perpetrator of the eight murders he is now convicted of. "This man is much older, stooped, lost a lot of weight," said Karen Fraser, who had hired McArthur as a landscaper, and whose property he had used to bury his victims. "I knew a man who was always energetic, enthusiastic, eager to get on to the next thing. And this is just a shuffling, broken man, as he should be." ​The courtroom was full, packed mostly with journalists, police officers and friends and family of the victims. The latter expressed little emotion, sitting grim-faced as McArthur's crimes and his pleas were laid out in court. (McArthur has a son and a daughter but Idsinga said he didn't believe any of McArthur's family members were in the courtroom). McArthur stood hunched, his fingertips resting on the wooden banner in front, his eyes off to the side, staring blankly, looking at no one, not the judge, not the court clerk, who read aloud each murder charge, naming each murder victim: Andrew Kinsman, 49, Selim Esen, 44, Skandaraj Navaratnam, 40, Abdulbasir Faizi, 44, Kirushna Kumar Kanagaratnam, 37, Dean Lisowick, 47, Soroush Mahmudi, 50, and Majeed Kayhan, 58. Did a serial killer stalk Toronto's Gay Village in the 1970s? 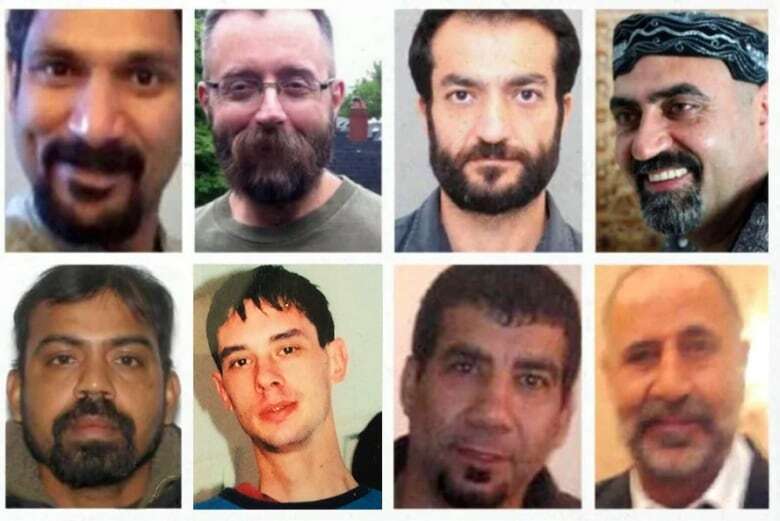 Of the eight victims, seven had ties to Toronto's LGBT community. When the clerk finished reading the charges, McArthur was asked for a plea after each count. "Guilty," he repeated eight times. Several Toronto Police Service officers sat in the front row of the courtroom facing McArthur's back. Those officers included Dickinson and Idsinga, who has become the face of this investigation that has drawn international attention. Asked how he felt after the hearing, Idsinga said, "a little emotional, a little bit surreal." "Absolutely, it's closure," he said. "It's not happiness. It's not something to celebrate. It's good to get it done." It is still not known how McArthur killed his victims. But what the court did hear Tuesday, in an abridged version of an agreed statement of facts, was that all eight murders were planned and deliberate, that six were sexual in nature, that McArthur had kept some of his victims' items as souvenirs and "staged" some of them, although what that meant was not clarified. McMahon said he was hoping to read the statements ahead of time, and reminded that there are certain things that can and can't be included in such statements. Swearing or threats, for example, are not allowed. "I don't want to be in a position Monday where I have to reject some of the ... loved ones' victim impact statements because it doesn't fit within where we have to be. "It is important to see the impact it's had on your lives." 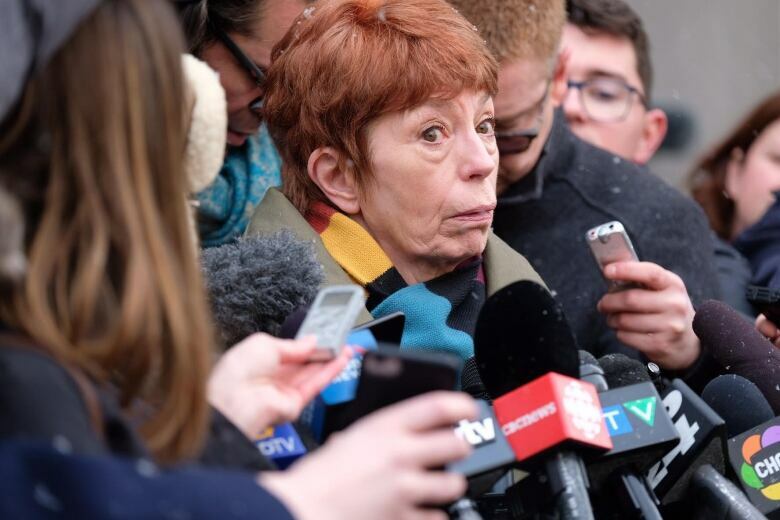 McMahon said it would be in everybody's interest for the case to wrap up next week, "to have closure for the family, for Mr. McArthur, for everybody involved."